First of all, I want to mention that I haven't watched all episodes of this new show called "The Young Pope" yet. In fact, I have not watched complete episodes. What I have watched is a large selection of 1-5 minute clips available on YouTube of this show. The show seems somewhat interesting from a fictional point of view. But I think it's very far from reality. As with most shows and movies from secular sources, they portray the Vatican, the pope, and cardinals in a very particular way. Let me know explain. In most fictional portrayals of the Holy See, the pope and cardinals are seen as very and exclusively political. They have little, if any, spiritual aspect whatsoever. Usually cardinals are scheming and plotting in order to advance their own causes. They are seeking most power, but also wealth and notoriety. These "church politicians" have people blackmailed, assaulted, or even killed to advance their evil. Plus they are so powerful, little can be done about it. This particular series is no different. It is produced by Sky and HBO, and it has a clear resemblance with the Sopranos, also produced by HBO. 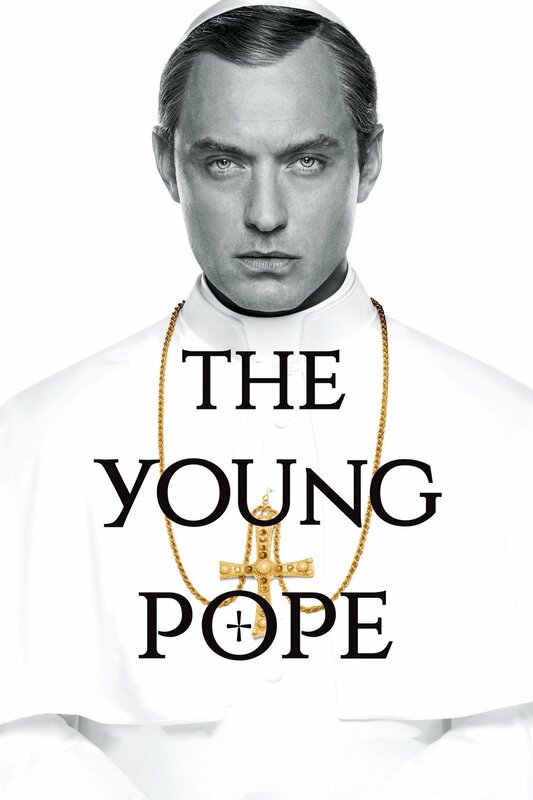 The pope, played by Jude Law, is ambitious, rigid, and Machiavellian. He is a control freak and power hungry. He is not very Christ-like. The activity within the Vatican seem no different than within a political party or something portrayed on West Wing, except in West Wing the characters aren't nearly as evil. In the show, the pope and cardinals discuss doctrine as if it is as changeable as the policies of any political party. For example, the pope and a bishop who was almost elected are discussing abortion. But the way they talk about it was the bishop was urging the pope to change the Church's teaching on abortion. To say that it's not the intentional killing of a human person and therefore murder. They made it seem like the pope, on a whim, could easily just change the Church's teaching. This betrays a complete lack of understanding of how doctrine works. It's not a "coincidence" that most popes don't change anything with regards to doctrine. Rather, once something is declared a doctrine it does not change. The only things that are changeable are disciplines. For example, not eating meat on Friday is a form of penance and practice, but not an eternal moral law. Therefore, a pope, or the church in general can change this teaching. But the Church does not see itself as having the ability to change the teaching on murder or abortion or marriage, or other issues such as this. I hope that makes sense. The sad part about all of this is that people are left with completely incorrect views of how the Church functions and the people in it. The pope isn't a politician who can change any law, no more than a physicist can change any law of physics, even if he is the head of a department. Also, after watching the show, many non-Catholics and fallen away Catholics are left with the impression that the pope and cardinals, and others in the Church are conniving, ambitious, immoral people, which is very far from the truth. To see why, we need look no further than the last several centuries of popes to see their personal holiness which is usually exemplary. For example, both Popes John Paul II and Benedict XVI were known for living very simply. JPII didn't even usually remember what he ate because he was too focused on his dinner guests. They had small rooms and did not live in luxury. To improve himself spiritually, John Paul II would even use a discipline or small whip to "mortify" his flesh. These great holy men would pray (and in the case of Benedict XVI continue to pray) for hours daily for the needs of the Church and the world. The papacy is not somewhere a traditionally ambitious person would want to end up. Most of a pope's days are spent entertaining guests and dignitaries, attending events and making big decisions. When a bishop is first elected pope, he goes to a room to get his outfit. This room has been dubbed the Room of Tears, given that most new popes break down in tears upon realizing the huge responsibility they are now charged with. Pope Benedict XVI made clear his desire not to be pope, but when elected anyway, he accepted. On the bright side, it is possible that if people find this show interesting, they may seek more information themselves. Perhaps in their search they will find the truth and be attracted to it.